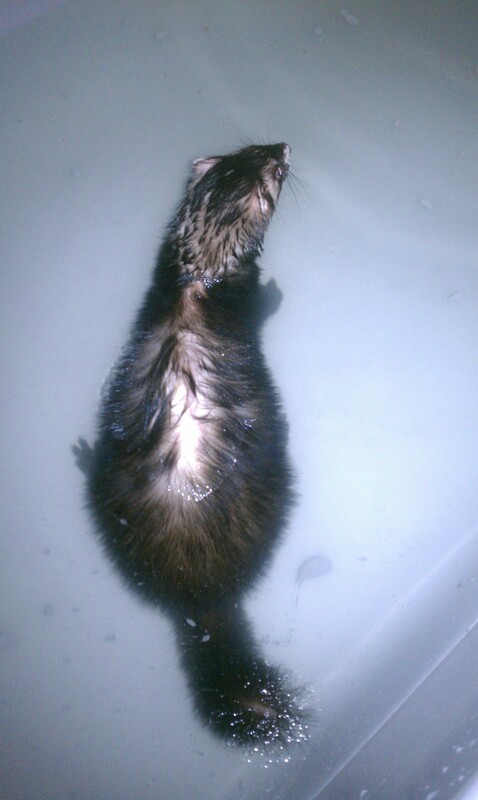 Having ferrets is a lot of fun for a lot of reasons. 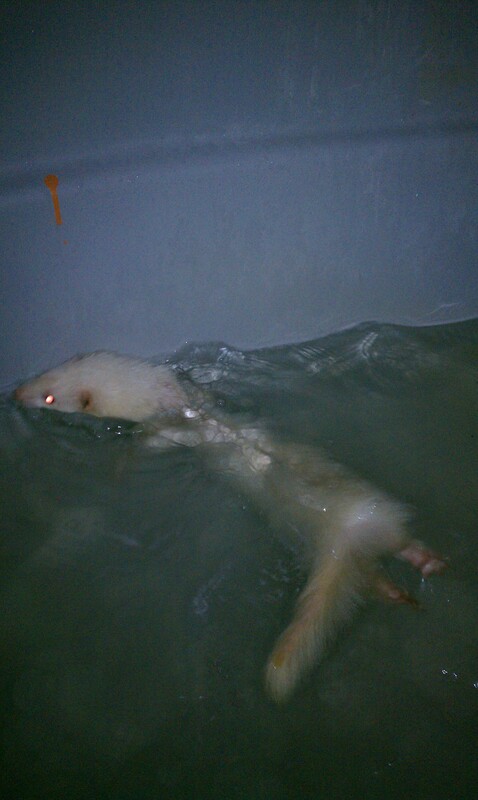 We have ferret fun time and they get to come out and play, we have ferret bath time and they get to come out and swim and ferret war dancing too! These are all a lot of fun to watch. 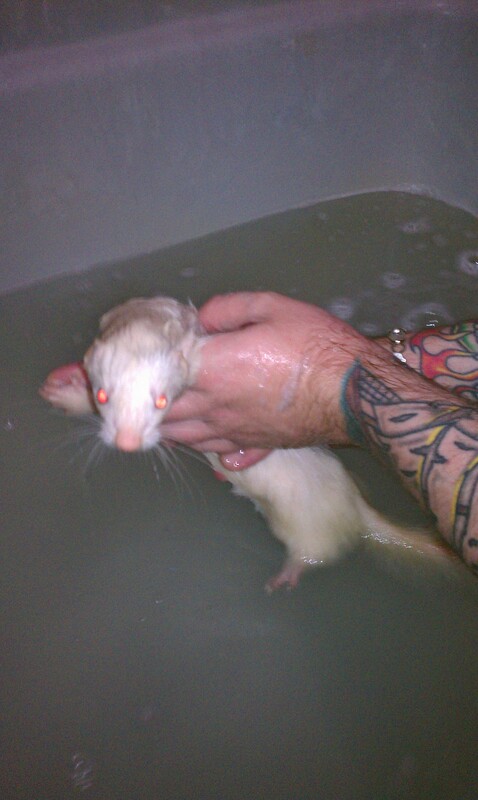 You are seeing pictures of 4 different ferrets having swim time and getting clean too! They do NOT all enjoy this so some of them spend more time playing on the bathroom floor than swimming! Well, I hope you enjoyed the fun as much as we do! 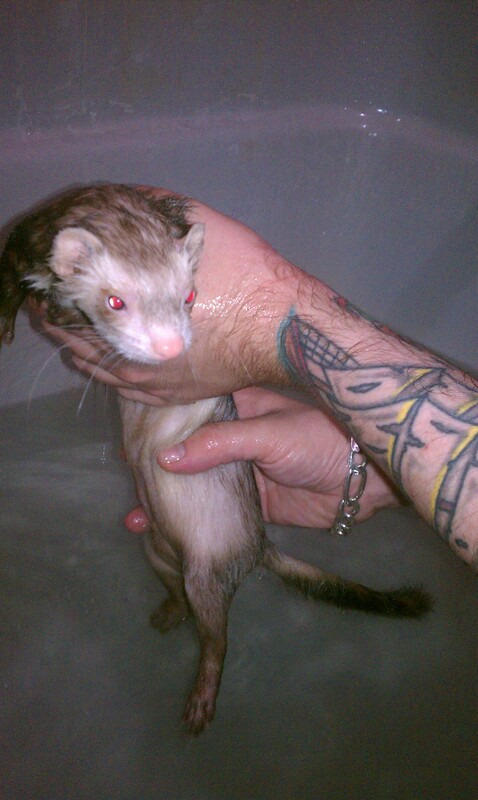 Do you have ferrets? What do you do for fun? 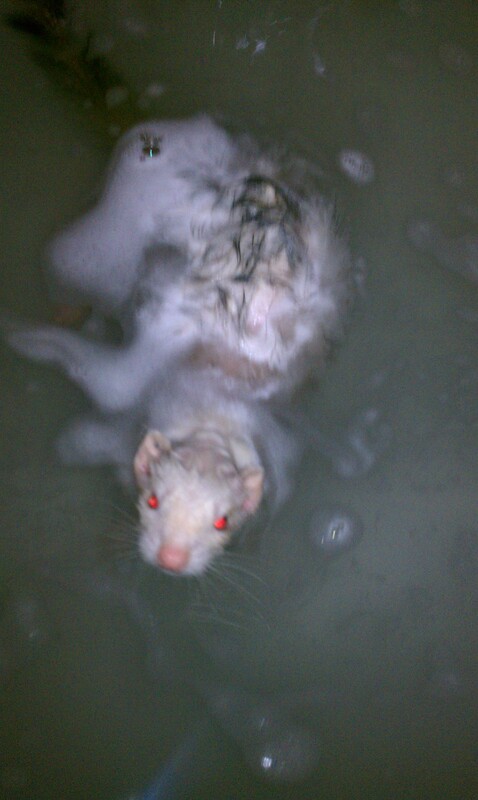 Do you now want a ferret? Let us know! Share this post and click to follow us too! Your Albino looks beautifull all freshly washed and dried like that. That is sooo great!! 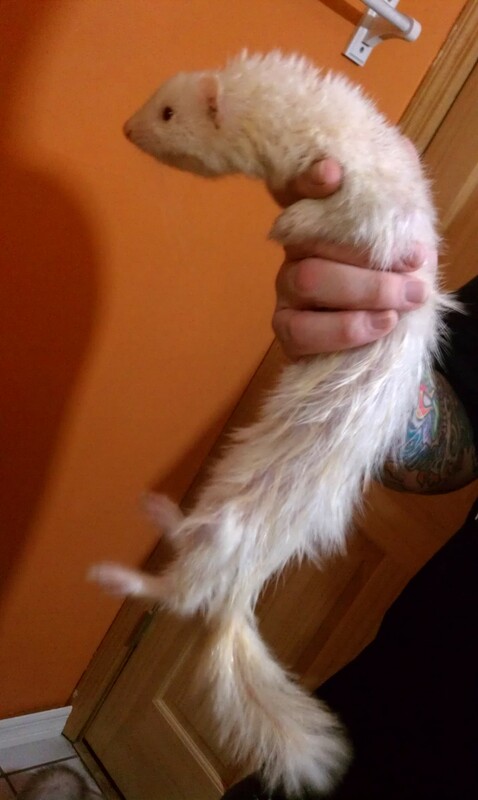 I love that the ferrets just climb up and hang on for the ride! ← Dear old Golden Rule Days….